Shopify requires all themes to include a slideshow and, with rotating banners being almost omnipresent at the top of every website, people getting started with an online store will almost always presume a similar element is the 'right' thing to first add to their new Shopify store. However, extensive research over the last number of years has shown that slideshow impact may have diminished to the point of irrelevance. As far back as 2013, one study found barely 1% of visitors made any interaction with a slideshow at all, and of those it was almost exclusively the first slide, with subsequent slides each seeing less than a tenth of the number. A much more detailed eye movement tracking study found that, if the slideshow was perceived as advertising (no matter how relevant,) the user simply didn't even look at it. That last point presents a real issue: If your homepage is dominated by a large slideshow, pushing all other content below the fold, users looking to (visually) skip the perceived 'advert' don't have anywhere else to go without scrolling and so will be significantly more likely to use their browser's back button - and that visit will be recorded as a dreaded 'bounce'. 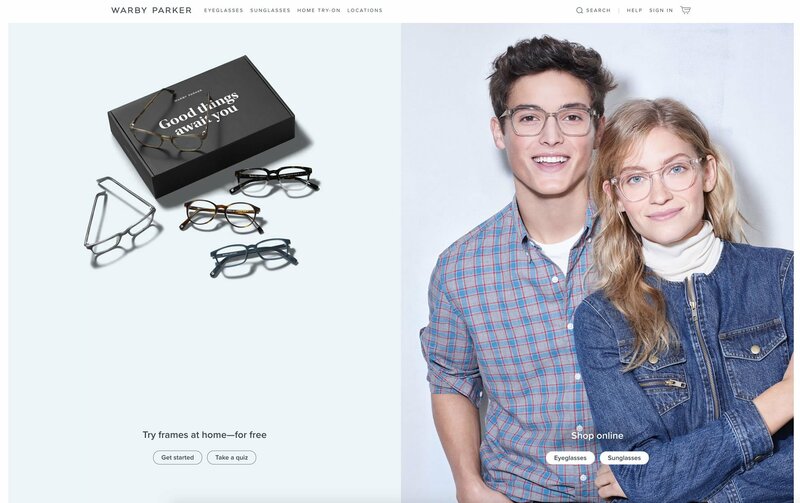 Warby Parker present nothing more than four options in the content area of their homepage - two promoting their hugely popular 'try at home' service, and two shopping options, in fact doing nothing more than replicating the entirety of their main navigation in a more visually interesting way. How can I do this in my Showcase theme? Don't forget, changing these up at any time only takes a few seconds, allowing you to always keep your storefront fresh with the minimum possible effort. 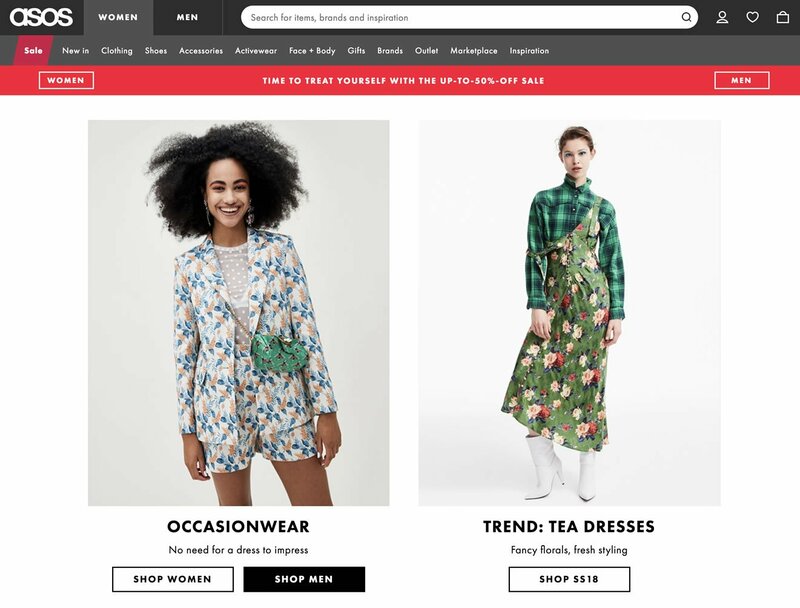 asos, as a fashion retailer, present a traditional binary gender inventory split as the primary navigation tier throughout their store. However, even when landing on the homepage directs you into the 'women' category, the option to switch is omnipresent. Each promotional item, eg 'Holiday', features buttons directing to both the womens and mens divisions of that line. How can I do this in my Canopy theme? 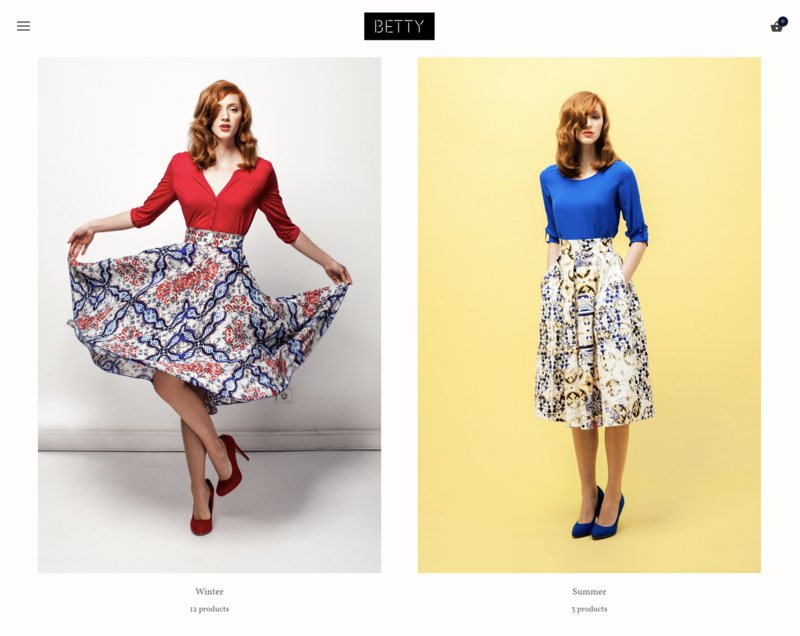 Using the included gallery in a creative way, we can make a double width image for the promotion header, then use product images with the caption feature enabled to direct to womens and mens alternatives of the same product range. 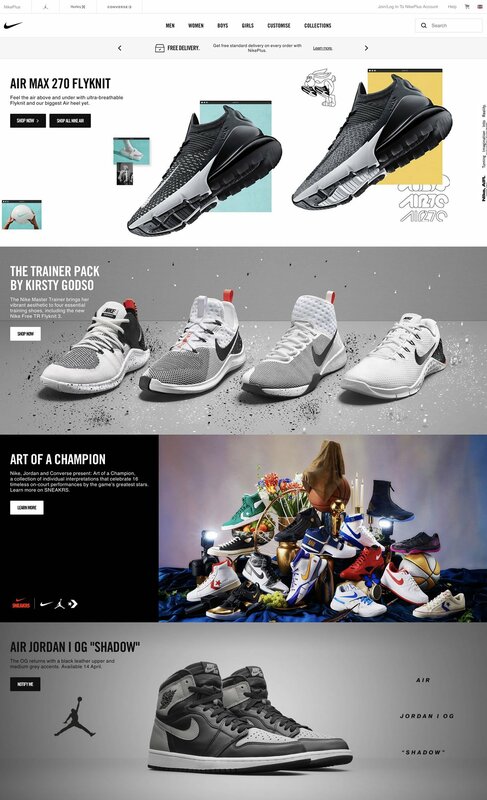 Here, Nike brilliantly break out what may have previously been a slideshow and present all the content in a single stream of content instead. Without the hackneyed restrictions of a slideshow, forcing the user to either scroll manually or even wait for content of interest, visitors can see multiple promotions in a single view and absorb them at their own rate. How can I do this in my Symmetry theme? You can even use a gif image for the colour changing effect shown in Nike's first slide, to really elevate the product's prominence. Making effective, meaningful changes to your website is a two part process: Creativity, backed up with data. Understanding your own store as a unique entity and inventing creative solutions that will help your customers find what they're looking for can be tricky, but often times you'll see better results by experimenting (you DON'T have to get it right first time!) than you will by following some cookie-cutter notion of what makes a perfect online shop. 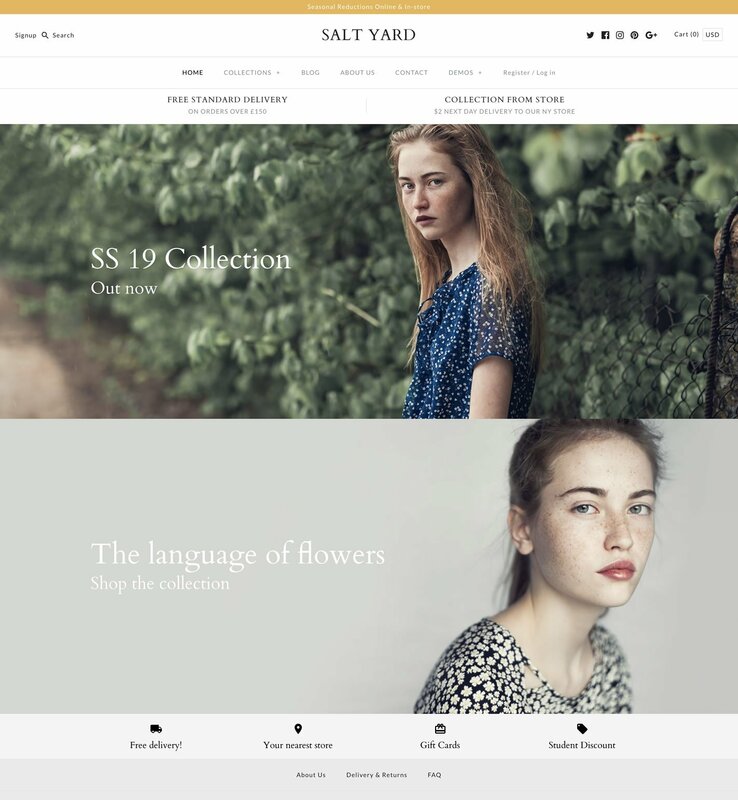 Our Shopify themes provide many options for you to experiment with, to express yourself and your brand and help your online store stand out. Please note the screenshots contained in this article are from major international brands and likely to change significantly over a very short space of time - by the time you're reading this, they're probably doing even more inventive things!